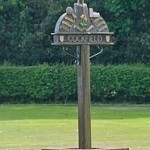 Cockfield Cinema is in the Village Hall on the 4th Friday of every month unless otherwise advised. The aim is to show films from a variety of genres which will entertain all sections of the community and our emphasis will be on fun for all the family. Tickets, on the door, will be £4.50 for adults and £3.00 for children and young people under 17. For details of up and coming screenings please visit the Cinema page here.